As we start the New Year there are mixed views regarding the business outlook for the UK, with some organisations being optimistic about the next 12 months and others being more cautious in their forecast. The Times reported last week that productivity in Britain is rising at its fastest rate in six years, providing a rare sign of hope in an area that has plagued the economy since the financial crisis. High productivity is considered the key to prosperity and living standards because it allows companies to produce more goods or services with fewer workers or hours worked. A poll by the manufacturers' organisation EEF found 40% of factories are planning for growth in their industry this year compared with 19% who are forecasting a decline. However, according to Sky News, Deloitte's Chief Economist Ian Stewart said “CFOs' concerns about Brexit remains at the top of the list of risks for business in 2018. Weak UK growth follows as the second greatest risk facing business this year, with concern about UK productivity in third place." Whatever their outlook for the next 12 months all companies will almost certainly be looking to increase their overall productivity. Research has shown that in highly productive companies effective leadership raises productivity. Therefore, companies should be including Leadership Training in their New Year plans along with the goals of improved productivity and increased levels of employee engagement. CMI research has shown poor management to be the biggest single contributor to low productivity in the UK, where output per hour was 18% below the average for the rest of the major G7 advanced economies in 2014. The Department of Business, Energy and Industrial Strategy estimates the cost of poor management and leadership to the UK economy at £19bn a year, through lower productivity. Employees will do the job requested of them, but without trust in leadership, they’re not likely to go above and beyond to help create a high performance organisation. Your business could then experience poor customer service satisfaction and declining repeat business and brand loyalty – which leads to declining profits. It is often forgotten that productivity and the economic rewards that go with it are achieved through the people of an organisation. A fundamental rule of organisational survival is to put employees first and develop their abilities and skills by establishing a quality training environment. The heart of the leadership challenge that confronts today’s leaders is learning how to lead in today’s VUCA (volatile, uncertain, complex and ambiguous) business environment, allied with the needs to deal with scale and new organisational forms that often break with traditional business models and structures (within which many have learned their ‘leadership trade’). The pressure mounting on Leaders today is significant. They are required to lead their business through continual change, grow profitability, keep shareholders satisfied, maintain employee engagement, drive high performance, uphold their corporate brand, deliver projects, service their own clients and much more. This requires a high degree of skill and the ability to adapt. According to an article by the Chartered Management Institute, seven in 10 employers are failing to train first-time managers. Often managers, probably promoted from within a business, may do their day-to-day job extremely well but are not given the necessary leadership training programmes to allow them to guide a team successfully. Developing leadership skills can not only provide important business proficiencies and aid professional development but also help develop interpersonal communication. At GBS Corporate Training, we believe that leadership is all about the ability to have an impact on your followers and be able to influence them using the appropriate leadership style. “Leadership is any attempt to influence the behaviour of another individual or group” Dr. Paul Hersey, The Center for Leadership Studies Inc.
A workforce which has strong trust between leadership and employees is a more engaged and committed workforce; a more engaged and committed workforce is a higher performing workforce. The higher performing they become, the more innovation and revenue are likely to increase. A common mistake made by leaders of many organisations is the tendency to treat everyone on their team exactly the same. It’s true that a good leader should incorporate consistency in message and actions, but he or she must also adjust managing style to fit each team member’s personality and constantly changing circumstances. If you use a one-size-fits-all management style, you might wind up stifling your team’s unique abilities and dampening their creative spark. A recent Gallup survey found that only 13% of employees are engaged at work, indicating the vast majority of working adults probably don’t have a meaningful connection with their company’s leader(s), nor do they enjoy the work they’re doing. Situational leadership® dictates that it is up to the leader to change his or her style, rather than the job of the followers to adapt to the leader’s style. A good leader should analyse each situation based on a variety of factors. They must be flexible enough to modify their leadership style to suit the individual personalities whilst adhering to the corporate mission. For instance, some employees may excel when working independently, while others may need more one-to-one contact and feedback. Effective leaders must find out what makes people tick: what they truly enjoy about their work; what they wish was different; how their work drives them to succeed. Now is a great time to expand your Leadership capabilities and start the New Year feeling inspired to make a real difference. Situational Leadership®: Building Leaders is our two-day instructor-led workshop that emphasises active learning through application-based activities and participant interaction to ensure learner engagement in the classroom. Situational Leadership® - Accreditation is designed to equip internal company trainers with the necessary skills and knowledge to deliver licensed Situational Leadership® within their own organisation. 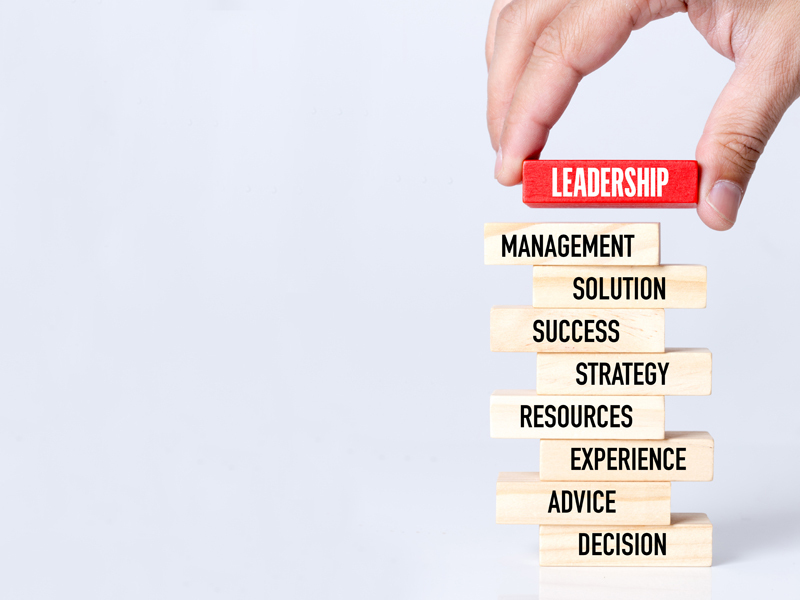 The first part of the accreditation process involves experiencing the two-day Situational Leadership®: Building Leaders programme as a participant followed by coaching on the delivery of the model itself where you will prepare and deliver an agreed section of the Situational Leadership® programme. An accurate demonstration of knowledge and understanding of the model will result in your accreditation. A licensed ‘Administration Resource Kit’ is provided for each successful accredited trainer to deliver Situational Leadership® training in-house.